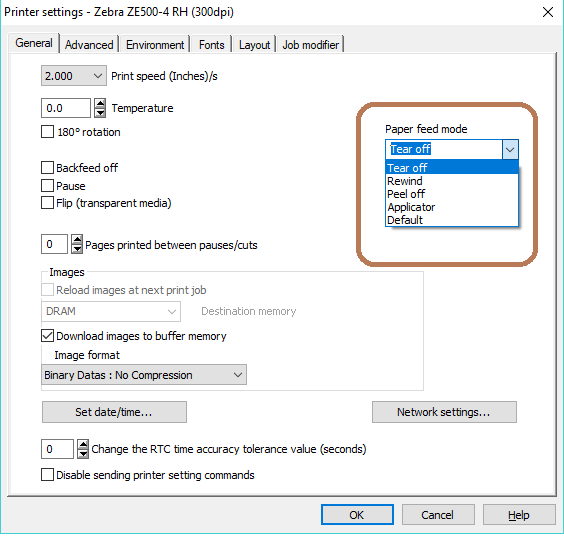 In this article, we use printer driver created by Teklynx for Zebra ZE500-4RH (300dpi) as example. Drivers from other company or other printers may or may not use the same terminologies but the concept will be the same. Tear off – this option is used to move the label up a few millimeters to simplify cutting of peel-off. The printer automatically compensates for this feed with an equivalent back feed before printing the next label. 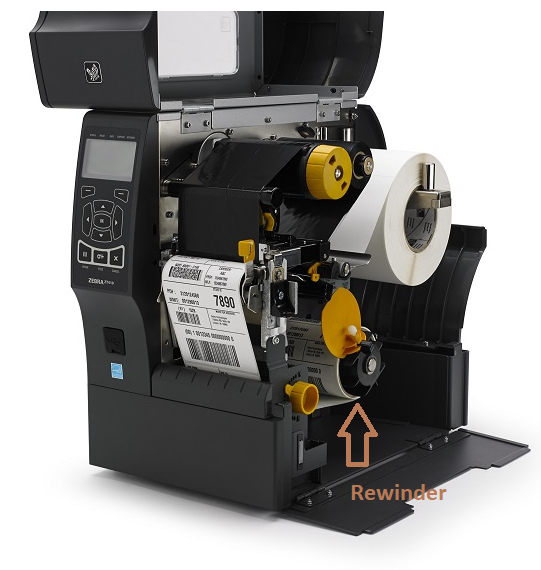 Rewind – this option winds the label media during the printing. 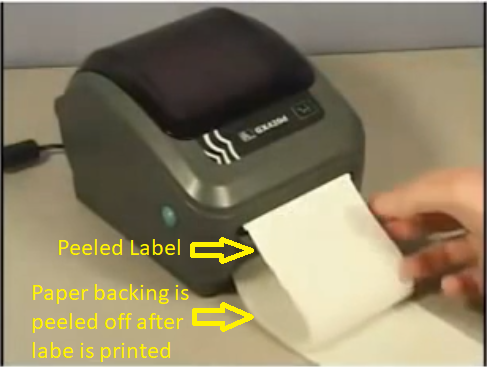 It is typically used when preprinting a roll of labels for hand apply. Peel off – this allows use of the printer peeler which separates the label from the label backing one label at a time. 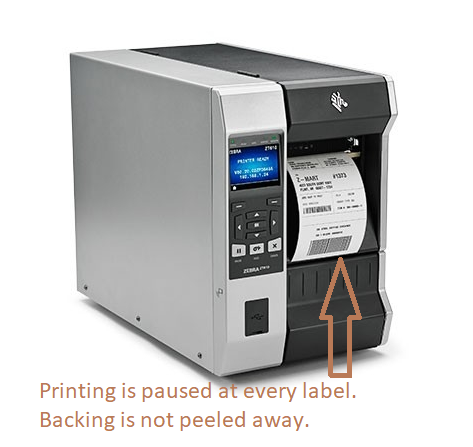 The printer presents the peeled label to the user. Once the user takes the label, the printer then prints the next label, peels it, and presents it to the user. Applicator – this option activates the automatic label applicator attached to the printer. Additional configuration may be required to setup communication with the applicator. Default – keep the last mode used.